Over the past months the University of Hawaii has received substantial input regarding our stewardship of Maunakea. Governor David Ige’s statement on May 26 is consistent with what we have heard from the community. We accept that the university has not yet met all of our obligations to the mountain or the expectations of the community. For that, we apologize and lay out this outline of an action plan for improving our stewardship. We will provide a more detailed schedule by July 2015 following additional consultations. Some of these implementation measures have been recommended to us in the past. As we move forward, we commit to increased engagement and active listening with the community, particularly from Kahu Ku Mauna, which has provided sage advice and guidance. 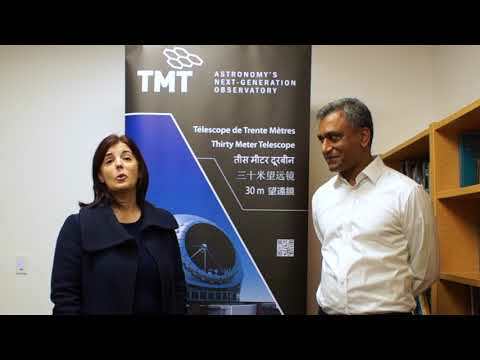 The Thirty Meter Telescope (TMT) will be the last new observatory site developed on Maunakea. Any new observatories may only be placed on existing sites. Both of these conditions are contained in the Decommissioning Plan for the Mauna Kea Observatories (PDF), approved by the Board of Land and Natural Resources in 2010. The university will meet with the Department of Land and Natural Resources (DLNR) to draft a document to make this commitment legally binding. On May 28, the Caltech Submillimeter Observatory announced it will end operations in September 2015. They will be the first observatory to implement the Decommissioning Plan for the Mauna Kea Observatories, and should complete the process by 2018. We are discussing with the directors of other observatories a definitive schedule of decommissioning of other observatories. We will meet with the director of DLNR this week to review the administrative process for decommissioning. By the end of 2015 we will present an implementation plan for the removal of 25 percent of the summit observatories and the restoration of the sites by the time TMT is ready for operation. We will consult with DLNR on how we can identify and return to their management lands that are currently part of the Mauna Kea Science Reserve that are not used for astronomy. We will accordingly modify our application for a new lease to reduce the total acreage that would be under university management. Over the past two months, we have heard many new ideas regarding the university’s master lease for the Mauna Kea Science Reserve. We will restart the Environmental Impact Statement process for our new lease, enabling us to include additional options for consideration, and conduct a cultural impact assessment. The requested term of the new lease will be substantially less than a 65-year extension. We have been consulting with community groups to develop administrative rules for the Mauna Kea Science Reserve, including rules that would ensure cultural access while improving management of non-cultural access. In June, we will begin a series of open house sessions for further public consultation and we will place particular attention on the scope of rules on access. We will have draft rules prepared by October 2015 to begin the formal public consultation phase of the rule making process. We will work with Kahu Ku Mauna and other Native Hawaiian advisors to develop new cultural training and educational programs about Maunakea. Training is currently required for people working on the mountain and we will look for opportunities for improvement. We will develop training and education programs for visitors to ensure that all who come to Maunakea understand its cultural significance and how to respect the mountain. To ensure our cultural training and education programs are accurate, effective and continuing, we will establish at UH Hilo a new program to lead and evaluate our expanded cultural stewardship and educational activities related to Maunakea. We confirm the university is making, and will continue to make, full use of its observing time at Maunakea observatories. We will discuss with our sublessees the level of their investments in the operational and stewardship costs for the Mauna Kea Science Reserve as well as sublease payments under a new master lease. The governor asked TMT to increase its support to Native Hawaiian students, particularly those from Hawaiii Island, who wish to pursue science and technology careers. UH recognizes its responsibilities in this area and we will launch a campaign for new scholarship programs for Hawaii Island and Native Hawaiian students to increase their participation in the sciences. The university will allocate a portion of its observing time to UH Hilo for use in projects and programs to support greater participation and improved preparation of Hawaii Island students for professional careers.